Marie L. Radford is an interdisciplinary scholar with interests in the library and information field, interpersonal communication, and cultural studies. She is a researcher and consultant in qualitative assessment of library services and programs. Marie L. Radford's research focus is on qualitative research, communication within virtual and traditional library contexts, and postmodern approaches to media stereotypes of librarians/libraries. Radford's forthcoming book, Conducting the Reference Interview, 3rd ed., NY: ALA Editions/Neal-Schuman, is authored with Catherine Sheldrick Ross and Kirsti Nilsen. 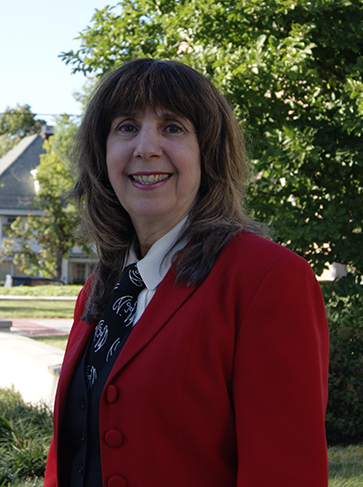 Her latest books are: "Library Conversations: Reclaiming Interpersonal Communication Theory for Understanding Professional Encounters," co-authored with Gary Radford (2017, ALA/Neal Schuman) and "Research Methods in Library and Information Science," co-authored with Lynn Silipigni Connaway (2017, Libraries Unlimited). She received the 2010 ALA/RUSA Mudge Award for distinguished contributions to reference. Ross, C. S., Nilsen, K., & Radford, M. L. (forthcoming, 2018). Conducting the Reference Interview, 3rd ed., NY: ALA Editions/Neal-Schuman. Radford, M. L., Connaway, L. S., Kitzie, V., Floegel, D., Radford, G. P., & Chayko, M. (2018). Creating and Cultivating a Scholarly Identity within Digital Worlds. Panel submitted for possible presentation to a scholarly conference. Research project underway to explore needs of faculty and doctoral students in creating and managing scholarly identity, and how services provided by academic librarians could help with these endeavors. Radford, M. L., Kitzie, V., Floegel, D., Connaway, L. S., & Mikitish, S. Investigating and mitigating microaggressions: Supporting professional practice for inclusive information services. Paper under revision. Research project underway to explore instances of microaggressions in reference interactions, virtual reference transcript analysis completed, focus group interviews with members of marginalized populations to come. Radford, G.P., Radford, M. L, & Lingle, J. Transformative Spaces: The Library as Panopticon. Submitted for possible presentation to scholarly conference. Radford, M. L. & Radford G. P. (2017). Library Conversations: Applying Interpersonal Communication Theory in Face-to-Face and Virtual Contexts. Chicago: ALA Editions. Connaway, L.S. & Radford, M. L. (2017). Research Methods in Library and Information Science, 6th Ed., Santa Barbara, CA: Libraries Unlimited. Singh, V. K., Radford, M. L., Huang, Q., & Furrer, S. (2017). They basically like destroyed the school one day: On Newer App Features and Cyberbullying in Schools. Proceedings of the 2017 ACM Conference on Computer Supported Cooperative Work and Social Computing (pp. 1210-1216). ACM. Radford, G. P., Radford, M. L., & Alpert, M. (2015). Slavoj Žižek, Rex Libris and the traumatic real: Representations of the library and the librarian in a modern comic book series. Journal of Documentation. 71(6), 1265-1288.